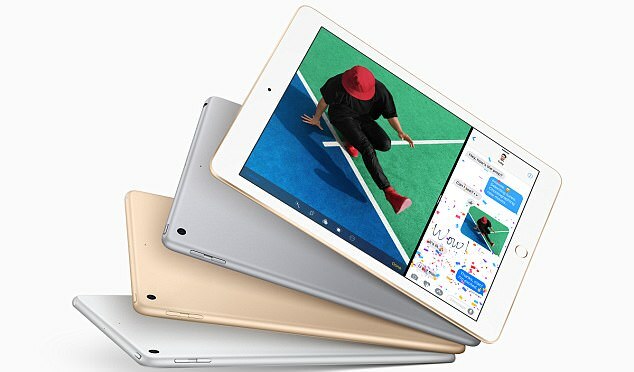 Apple is looking forward to bring a budget oriented iPad at the price point of just $250 to appease the price conscious buyers and to push the declining sales of the tablets. It has also been reported that Apple engineers has worked on developing a very new version of the FaceID system which has debuted on the iPhone X this year. Secondly Apple is also expected to launch a price war in the tablet segment which has been going through dismal sales with each passing month. But having a premium iPad from the Apple will help in igniting the interest in the tablets and it will also disrupt the dominance of the Android offerings in the tablet market at the similar price point. Following the high of the early days of 2013 and 2014 Apple has simply failed to match up the sales and it is looking forward to new ways of making iPads a sensation once again. Apple saw a little bit of growth in the iPad sales due to the launch of the latest $329 iPad apart from that other iPad variants aren’t offering a glowing picture. At this point of time Apple is trying to lure the industrial enterprise customers as well as regular buyers who are quite sensitive to the premium price quoted by the usual iPad models. A major portion of the Apple revenue comes from the sales of the iPhones which has been growing at a good pace with each iPhone launch but same isn’t the case for the iPads which is a sign of concern for Apple. In 2017 Apple’s iPad business has simply had some really bad quarter which is quite worrying for Apple executives as iPad unit sales are declining with each passing year. Therefore Apple is all set to launch a price sensitive iPad boasting the new age features like the one seen on the iPhone X.
Apple will be seen promoting the key selling feature of iPhone X which happens to the Face ID on the new lineup of the iPads. Rumors have even suggested will be opting for a similar all-screen look for the new premium iPads in 2018. This means users will have do away with the beloved home screen button the iPads after their disappearance on the iPhone with iPhone X. The new iPads will also have slimmer edges thanks to the non-presence of the old age ‘home button’. Revamping the iPad design in 2018 will mark the passing of 3 whole years in between the major design change implemented with the launch of iPad Pro in 2015. When it comes to size the new models will feature the 10.5 inch used in the Pro model and sadly iPads will not be featuring the OLED panels which were first seen on the iPhone X. In short Apple is devising new ways to reignite the interest in the iPad gadgets amidst the rise of the phablets in the market.